The speedy left wing, who may yet develop into an NHL center, can take a few individual positives from the second half. Anthony Beauvillier’s NHL career started in the worst possible way. The 20-year-old forward, selected 28th overall in 2015, has improved from that shaky beginning but is far from a finished product as he nears the end of his second NHL season. And this is far from a successful season for the Islanders, out of the playoffs and headed to the NHL Draft Lottery for a second straight year. But the speedy left wing, who may yet develop into an NHL center, can take a few individual positives from the second half of this season into his offseason workouts as he prepares for a third NHL campaign. 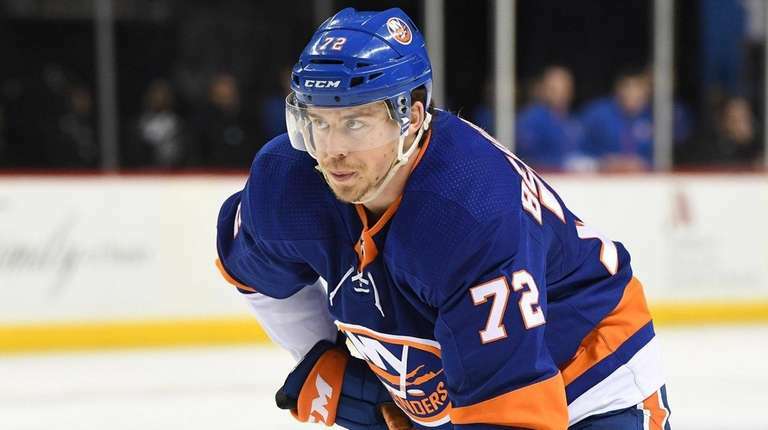 “Since I came back from Bridgeport (AHL) in January, I think it’s been good,” Beauvillier said. “I’ve been feeling really good about myself since then. That was a good thing for me to go down to Bridgeport and get some confidence. I’m not satisfied yet. I want to be more of an impact player but I kind of came a long way since the beginning of the year. He entered Saturday’s game at New Jersey with 18 goals and 13 assists in 67 games as he’s settled into a second-line spot with veteran left wing Andrew Ladd playing himself out of the top six. Beauvillier scored two goals in a three-game stint with Bridgeport before being recalled. Beauvillier, second-line center Mathew Barzal, 20, expected to win the Calder Trophy as the NHL’s rookie of the year, and defenseman Ryan Pulock, 23, represent the best three young players on the Islanders’ roster as this season enters its final week. Islanders coach Doug Weight has been vocal this season about the need for the NHL to bring some clarity to how goalie interference is being called and the review process on challenges. So, Weight was supportive this week when the NHL Board of Governors approved a recommendation by the general managers — and supported by the NHL Players Association — to have an off-ice official at the NHL Situation Room in Toronto make the final call on goalie interference challenges rather than having the on-ice officials reviewing their own calls. It’s the second time in his three AHL seasons Burroughs has been nominated for the Yanick Dupre Memorial Award, which will be chosen from among the 30 finalists. The NHL this week released its new Draft Lottery system, to be conducted on April 28. This year, there will be a first lottery draw to determine the first overall pick, then a second lottery draw for the second overall pick and, finally, a third lottery draw for the third overall pick. The remaining 12 non-playoff teams will then be assigned picks four through 15 in inverse order of their regular season finish.